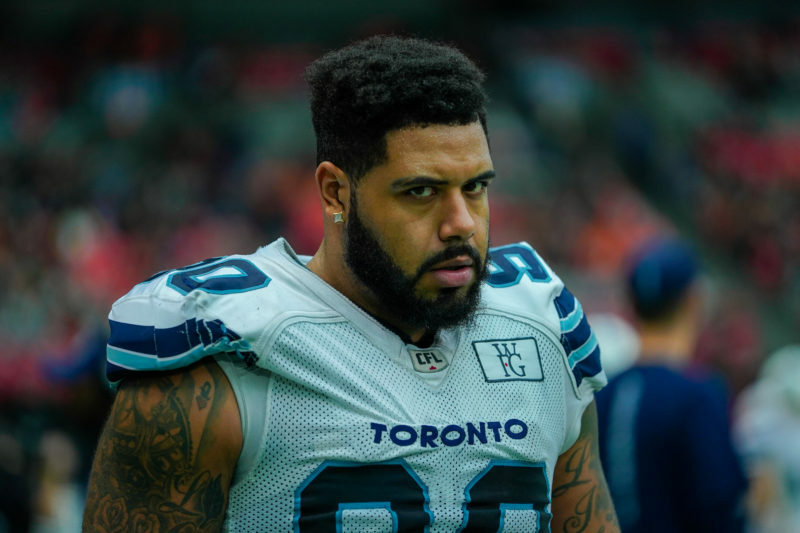 In the second of a two-part series, Argonauts.ca looks at the contract status of defensive players, and those who are special teams specialists. The first part of the series, a look at the offence, can be found here. There are several players here who could become free agents on February 12th. As of the time of this article, only four defensive linemen are under contract. In the middle, the good news is that Cleyon Laing is back. 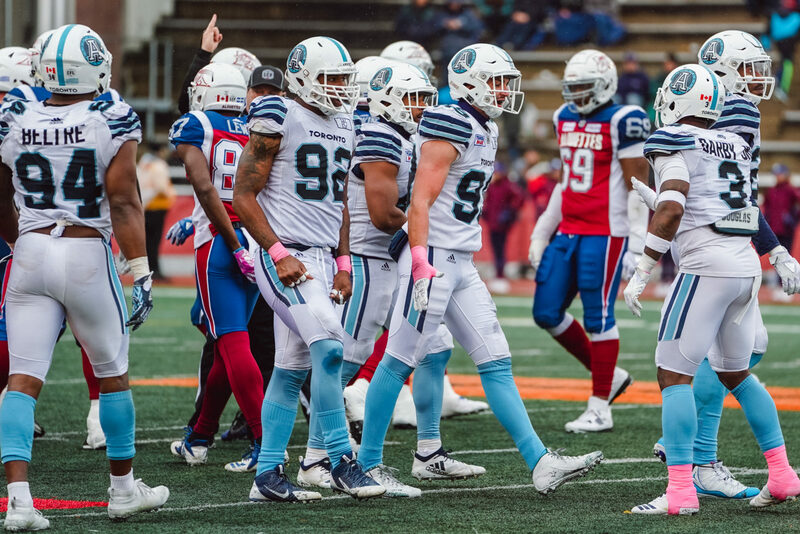 The National led the team with six sacks and was named the Argos Most Outstanding Defensive Player. The other tackle under contract is Linden Gaydosh, who may also get a look as an offensive lineman. Two import defensive tackles, Dylan Wynn and Ken Bishop, could become free agents, as could Canadian Jeff Finley. Two ends will be back, neither of whom have much experience. They are Canadian Evan Foster, and Eric Striker, the former Oklahoma Sooner who missed spent most of his initial Toronto experience on the injured list. Three of the players who started the majority of games at defensive end are also without 2019 contracts at this stage. They are Frank Beltre, Troy Davis and Justin Tuggle, who also played linebacker. Canadian Cam Walker also could become a free agent. 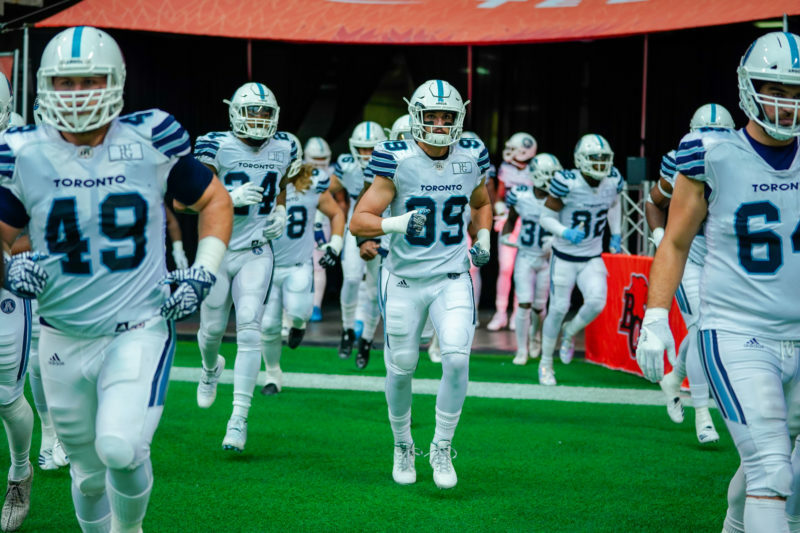 The Argos had tremendous depth at this position in 2018 and it was needed. Injuries decimated the group, and free agency has the potential to do the same thing this year. In the middle Bear Woods, Akeem Jordan, Justin Tuggle, and Terrance Plummer are all in possession of expiring contracts. Canadian Justin Herdman, who was named the Argos Most Outstanding Special Teams player, is the only ‘Mike’ linebacker under contract. On the weak side, Marcus Ball, Jeff Knox Jr. and Canadian Nakas Onyeka, injured for most of last season, all could become free agents. Nelkas Kwemo and Sean Harrington, both rookies last year, are the only two ‘Will’ linebackers signed for 2019. ‘Sam’ linebacker Cassius Vaughn will be back, though he’s recovering from an Achilles injury and may not be ready for the beginning of training camp. Alden Darby Jr., who spent the last half of the season on the strong side, is a free agent. This is the position where the Argos return the most players, Darby notwithstanding. At safety Matt Black will be back for an 11th year, while Jermaine Gabriel is a potential free agent. Veterans signed and sealed for next year include three players who made an impact in their first season in Toronto. 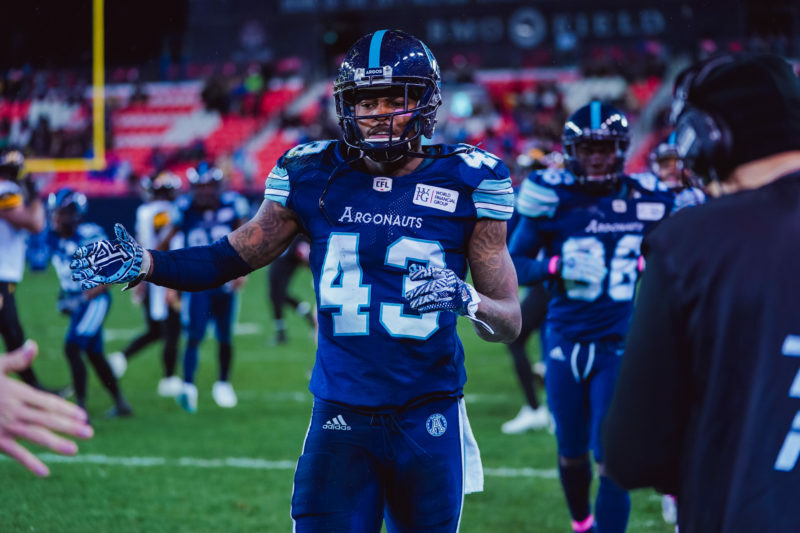 Marcus Roberson, Will Likely and Trumaine Washington, the team’s Most Outstanding Rookie, will all return, as will two other DBs who will be entering their second seasons with the Argos, Anthony Covington and Jonathan Dowling. Veteran Johnnie Sears Jr., who missed all of 2018 with an injury, is also under contract. International players who are pending free agents are Qudarius Ford, Abdul Kanneh and Ronnie Yell. Canadians Rob Woodson and Matt Webster are also in search of new deals. The Argos employed three kickers last year, two of whom are still under contract. Ronnie Pfeffer started the year as both the punter and placekicker, but was injured in a game in Winnipeg. 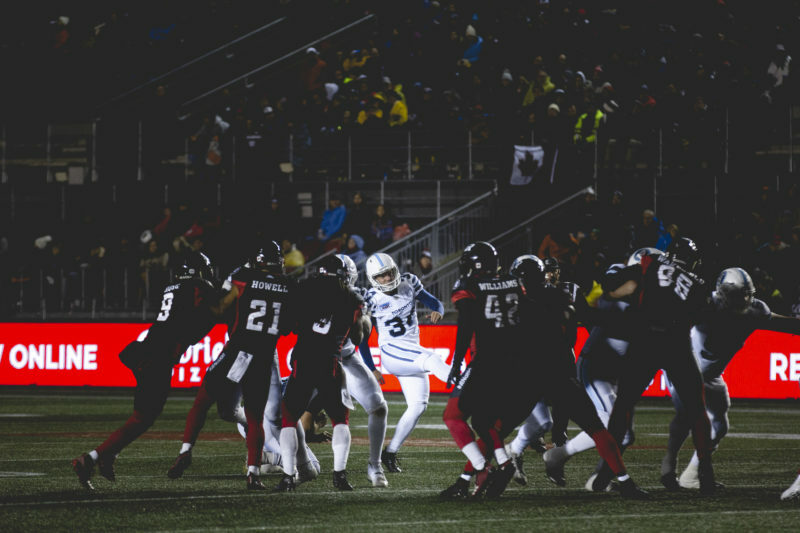 He’s under contract as is Drew Brown, the rookie out of Nebraska who finished the season as the Argos place kicker and connected on 10 of his 11 field-goal attempts. Zack Medeiros, who joined the Argos after the Pfeffer injury, is eligible for free agency. Long snapper Jake Reinhart, a five-year veteran from Guelph, is also a potential free agent. With the announcement of a new head coach on the horizon, the dominos will start to fall in terms of who the defensive coordinator will be. Whether it’s Mike Archer, or the new head coach, should he have a defensive background, the coaching staff will start to put its stamp on the personnel on this side of the ball.